Last season Adrian Peterson had one of the greatest statistical seasons in NFL history as he rushed for 2,097 yards falling just 8 yards short of Eric Dickerson's single season rushing record. Last year he was a fantasy football owners dream as he averaged a gaudy 6.0 yards per carry, making things happen seemingly every time he touched the football. He did all of this coming of an ACL surgery and prior to this season Peterson boldly proclaimed he would break Dickerson's record this year. While AP is still having an pro-bowl caliber season with 1,221 yards, 10 touchdowns while averaging 4.6 yards per carry it looks like he will fall much shorter of the record this season as opposed to last season. 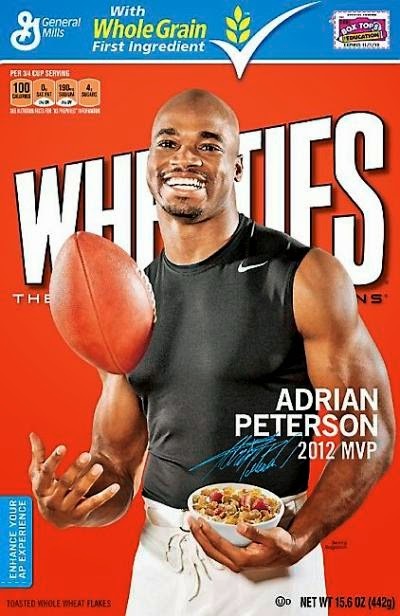 The fact that AP is still having the season he is having should be applauded. His son passed away earlier in the year and that would have a huge effect on any human being let alone a guy who is talking about breaking a record that has stood for nearly 3 decades. He had to deal with that mentally as well as the physical pain from his foot injury. So Peterson has been overcoming a lot and he vows he will play in this Sunday's game versus the Philadelphia Eagles despite his sprained foot, you have to admire AP. 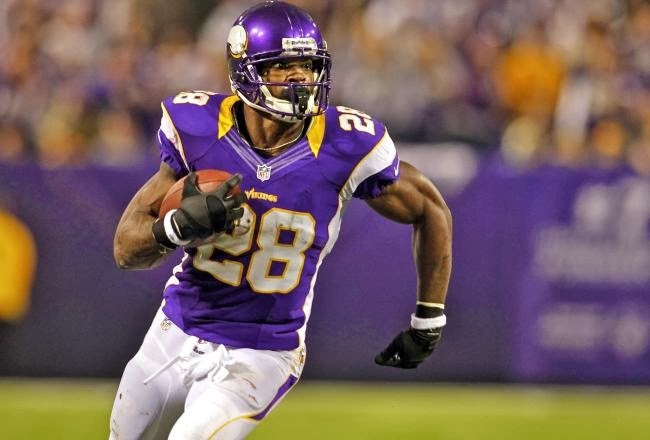 Peterson's drop in production this season isn't based solely on him though, the revolving door known as starting quarterback for the Minnesota Vikings has made life a lot harder on Peterson as teams are showing 8 man fronts, stacking the box with no fear of being beaten in the passing game. Christian Ponder, Josh Freeman and Matt Cassel have all suited up this year under center for the Vikings at quarterback and have been useless which has made the Vikings very one dimensional as they rank 22nd in the NFL in passing. Peterson has collected his numbers but a respectable quarterback in Minnesota certainly would have helped him out. Now records were made to be broken and there is no question in my mind that Adrian Peterson can not only break Eric Dickerson's single season rushing record but shatter it completely but he needs to be in the right situation. If the Vikings want to become a better football team and maximize (yes I said maximize) the potential Adrian Peterson has as a football player, then they should invest in a quarterback who has the potential to be more than a game manager. Last year Peterson threatened the record and Eric Dickerson's phone blowing up at Toys R' Us because he was less than a first down from breaking his record and before this season he was speaking about breaking the 2,500 yard barrier, which is unheard of. He will have a great chance to touch the very modest 1,500 yard mark this season with 3 games left to play. He is only one of 7 players to rush for 2,000 yards in a single season so AP is an all-time great running back, but will he ever break Dickerson's record? Only time will tell.